Just in time to make your Christmas wish list for Santa are Serendipity Stamps line of Easter and Valentine stamps. Today the design team will be previewing cards made with both holdiay themes. Accessories: Cuttlebug embossing folder and fancy corner die, Martha Stewart border punch, grosgrain ribbon and pearls. 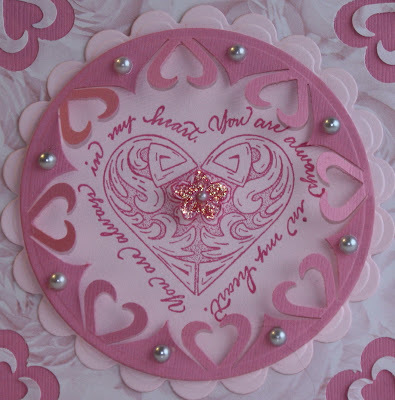 Accessories: EKSuccess Heart Shaped punch, Pearls, Nestibilities circle and scalloped circle dies. Wow two great cards.. 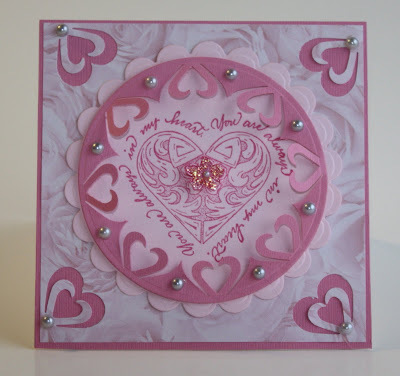 I just love that heart wreath on the Valentine card! I love all that detail that went into the Valentine's card, Jennifer! You describe it as simple, but it looks difficult! These are both beautiful Jennifer! Your coloring on the Easter one is AMAZING and your valentine card is SO creative how you did the heart frame! Great job! Just beautiful Jennifer! 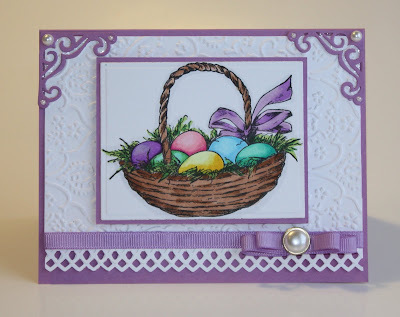 The coloring on your Easter card is fantastic! Jennifer, your cards are lovely, especially that Easter basket. Beautiful cards. Just stopping by to wish you a Merry Christmas! wow, both of these send such peace, wonderful coloring, great creations...blessing to you this Christmas! Beautiful cards Jennifer.. Hope you had a wonderful Christmas.. HAPPY NEW YEAR and best wishes for 2010..
Omigosh, your posts this week are FABULOUS Ms Jennifer...and I'm just LOVIN' the new look of your blog!